See performances by Decidedly Jazz Danceworks, Lunchbox Theatre, Vertigo Theatre and more in these spaces. Dancer Catherine Hayward in the DJD Dance Centre. Photograph by Ema Peter/Dialog. Decidedly Jazz Danceworks (DJD) has a professional company that does high-energy, physical jazz-dance performances, often accompanied by live music, in the theatre space within their Victoria Park headquarters. The DJD theatre is remarkable for its row of large windows along the north-facing side. Hidden behind black curtains, the space is a standard black-box theatre, but with the curtains parted, the audience can look out at the surrounding city-scape. (The company took advantage of this unique feature for its 2017 production of Juliet & Romeo by performing one part of the dance outside, lit by car headlights.) The 230-seat theatre is also equipped with a sprung dance floor which provides a unique “4D experience” where the audience can sense the performance in their seats. If you’re driving, DJD offers free access codes for underground parking off of Centre Street. Koi, 1011 1 St. S.W. Native Tongues, 235 12 Ave. S.W. Yellow Door Bistro, 119 12 Ave. S.W. 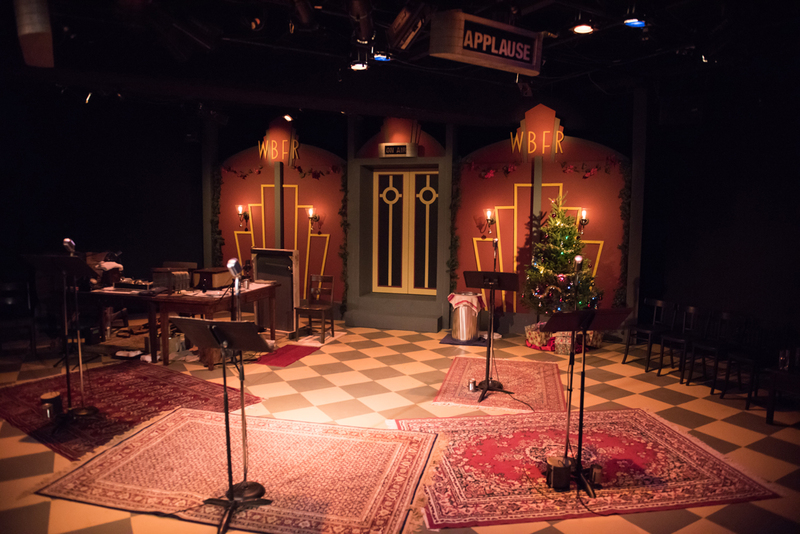 It’s a Wonderful Life: A Radio Play at Lunchbox Theatre. Photograph courtesy of Lunchbox Theatre. 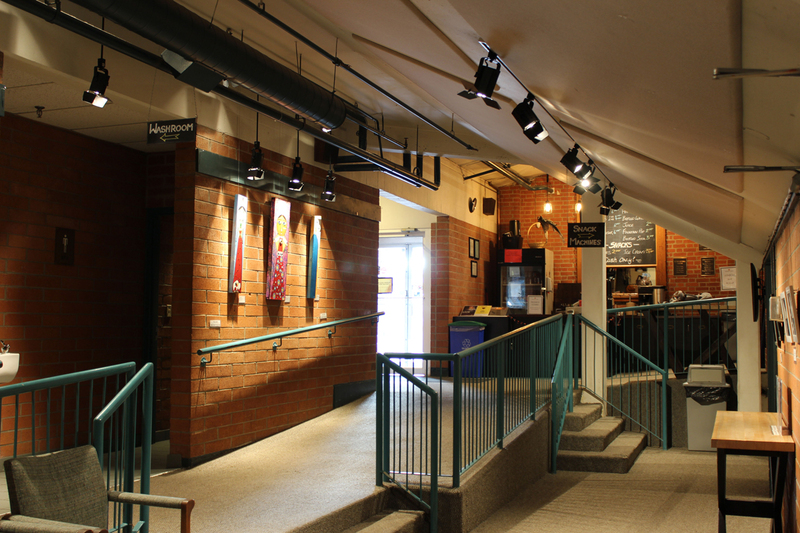 Lunchbox Theatre is a 105- to 115-seat black-box theatre adjacent to the Calgary Tower. It’s home to the theatre company of the same name, which does one-hour, one-act, midday shows. 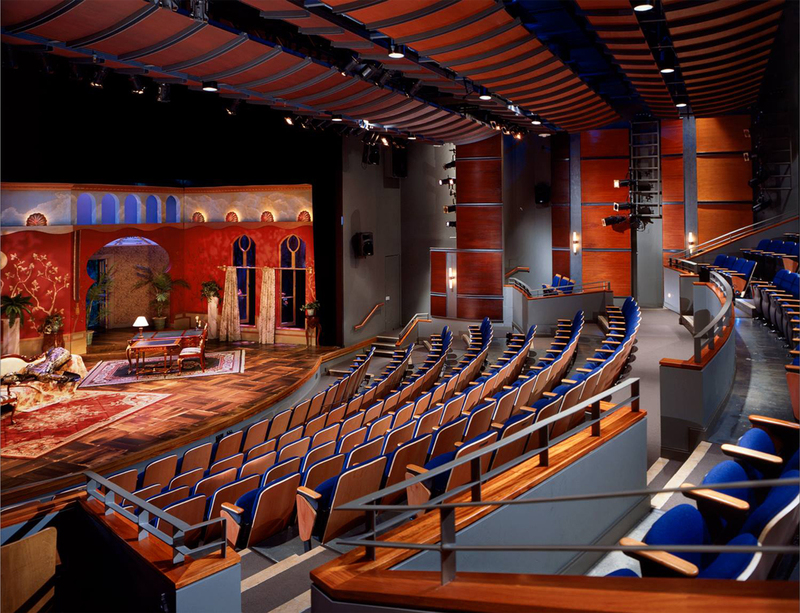 The flexible seating provides a range of viewing options — the improvised serial soap opera Dirty Laundry, for example, likes to have the audience in close to the stage. The adjacent Palliser Parkade has overnight parking for $6 and daytime parking for $16 and the Centre Street CTrain station is two blocks south. Charcut Roast House, 899 Centre St. S.
One18 Empire, 820 Centre St.
Ruth’s Chris Steak House, 294, 115 9 Ave. S.E. Pumphouse Theatre is tucked between Bow Trail and the Bow River, west of downtown. 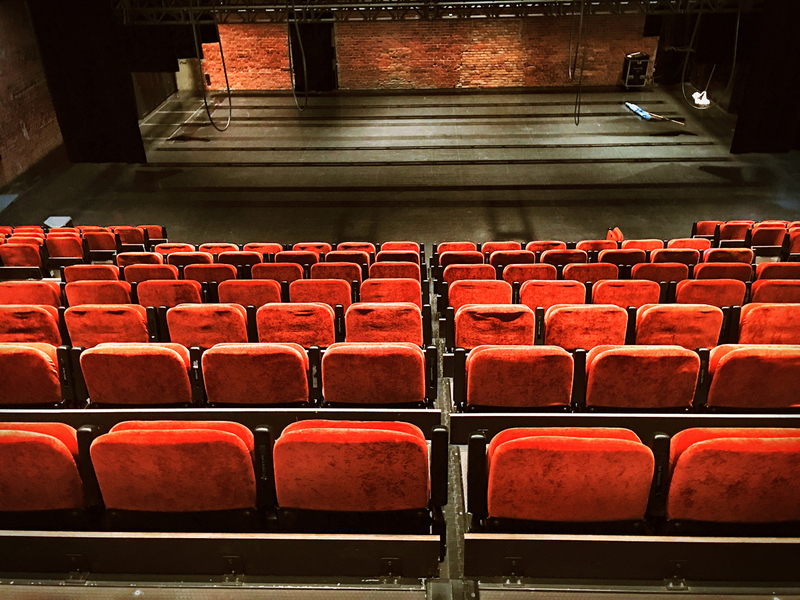 The redeveloped historic pumphouse (hence the name) contains two performance spaces — the 315-seat Victor Mitchell Theatre and the 65-seat Joyce Doolittle Theatre. Community theatre groups such as Morpheus can be found here and the smaller space frequently serves as an incubator for emerging artists. Since 1984, Pumphouse has also operated a youth-drama-day-camp program. Parking is available on site. Cassis Bistro, 2505 17 Ave. S.W. Hayden Block Smoke & Whiskey, 1136 Kensington Rd. N.W. Pulcinella, 1147 Kensington Cres. N.W. Photograph courtesy of Theatre Junction Grand. The Grand’s history goes back over a century, though the building underwent a huge renovation in the mid-2000s after being purchased by the Theatre Junction Society. However, the society currently faces a funding and staff crisis, leaving its future uncertain. The larger Flanagan Theatre has 230 seats that retract into the wall, allowing for great flexibility of use. The Grand also has a smaller studio performance space and a stylish lobby restaurant, Workshop Kitchen + Culture. Theatre Junction Grand is one block north of the CTrain, which is good, since street parking is often scarce around show time. Cactus Club Cafe, 317 7 Ave. S.W. Local 8th Avenue, 310 8 Ave. S.W. Workshop Kitchen + Culture, 608 1 St. S.W. Photograph courtesy of Vertigo Theatre. Saltlik, 101 8 Ave. S.W. Sky 360 (Calgary Tower), 101 9 Ave. S.W. The Oak Room Lounge at the Fairmont Palliser, 133 9 Ave. S.W. a few blocks to the east. Ke Charcoal Grill & Sushi, 1501 15 Ave. S.W. Monki Bistro, 1301 10 Ave. S.W.